Have you ever found yourself sitting back and evaluating your life? Well, this year has been one of those for me, as I find myself at a crossroad. Crossroads aren’t necessarily a bad thing. Yes, they make us feel uncomfortable and force us to face the unknown. But, none of us knows what lies ahead, life is one big leap of faith anyway. Growing pains never feel good, neither does facing the truth about yourself and the choices you’ve made that have lead you to where you are today. Let’s face it, we all want easy, simple, and less complicated. However, life will never hand us a box of chocolate covered strawberries neatly tied with a bow on top. I’ve learned that things will get messy before they get better. So what do you do in the meantime? For one, don’t run. Running won’t solve anything. Sit with your feelings, look at it for what it is, analyze why you are where you are, and if there is something you can do differently not to repeat the same pattern. Second, get help. It’s okay to seek counseling when life feels overwhelming. Some people may not admit it to you, but everyone goes through rough patches in life. None of us are exempt from difficult or hard times. I can’t tell you how much the rooms have helped me throughout my life. It’s a gift when you are afforded the opportunity to learn about yourself and receive unbiased support. Pain is a signal, a sign for you to pay closer attention. Be brave and courageous. Face it. Delve into those areas that hurt the most. Don’t be afraid. You’ll be surprised at what you discover, and how free you’ll feel as a result. 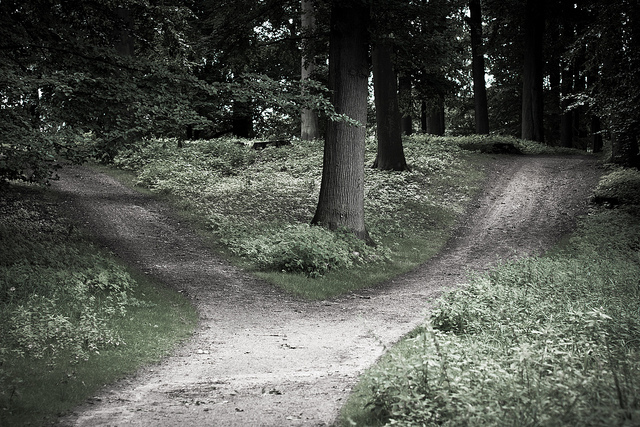 Do you find yourself at a crossroad today? If so, how are you coping or dealing with it. Please share your thoughts in the comment section below.